You should know that the smell of spoiled meat is one of the most persistent and getting rid of it can be very difficult. However, there are several ways by which you are able to cope with this problem. How to get rid of the smell of meat in the fridge? Remove from the fridge all products. Carefully inspect them and get rid of spoiled. Unplug the refrigerator from the mains and defrost the freezer. Prepare solution for washing, adding water with a mild detergent. Remove all containers and shelves. Thoroughly wash them, as well as the inner surface of the refrigerator and freezer to the prepared solution. Make a solution of baking soda at the rate of two tablespoons to one litre of warm water. Again, wipe the fridge and the freezer with this solution, paying special attention to those places where lay spoiled meat. A similar effect has vinegar solution. Dilute the vinegar with water in a ratio of 1:1. Wipe all internal surfaces. Take cotton pads and saturate them with vinegar. Arrange on a plate and leave in the refrigerator for a few hours. You can also use a solution of ammonia, made at the rate of 10 drops per 100 ml of water. Wipe the inner surface of the unit with a soft cloth. Take baking soda and put it in a flat container. Arrange capacity on all shelves and in all containers and in the freezer. During the day, keep the fridge door open, not including him. Purchase in the Department of household chemicals or pet store activated charcoal, designed to remove unpleasant odors. Place it on a flat dish and leave for a few days. The refrigerator should operate at low power. Similar to the absorbent action have freshly ground coffee and ordinary cat litter. Cut the lemon. Squeeze the juice on a rag and wipe all internal surfaces of the refrigerator and freezer. Cut the remains of the lemon into slices and place in the refrigerator and the freezer for a few days. To destroy the smell of meat, you can also use some spices - cloves, cinnamon, thyme, turmeric, celery, tarragon and others. 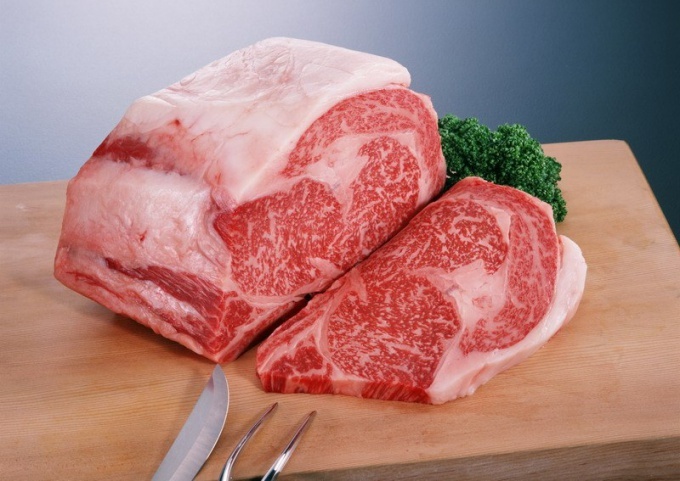 You should know that if all of the above methods did not help you to get rid of the smell of meat in the refrigerator, it is likely that mold spores got into the insulation. In this case, get rid of the smell of meat only inviting specialist and replacing the insulation. How to get rid of the smell in the fridge. The first thought that came to mind on this topic — to get rid of the smell in the fridge, it would be nice to clean it off. Don't get scared. That may be so, but it is the most radical and global measure of all. First a look at the refrigerator on the subject of stale and spoiled food. How to get rid of the smell in the fridge. After the purchase of the refrigerator it is necessary to wash inside with a solution of soda with a low concentration, or use a different detergent. Also very relevant odor absorbers that are cheap, and can save you from problem of unpleasant odors. Causes smell in the refrigerator. The smell can appear for many reasons, for example if the food spoiled, and you just did not remove them from the refrigerator. Advice 2 : How to get rid of the smell of rotten meat? Unpleasant odor in the kitchen can occur due to spoiled food, in particular, rotten raw meat. If this happens, you need to wash not only the refrigerator but also the entire kitchen. Discard the damaged product as soon as I smell it. 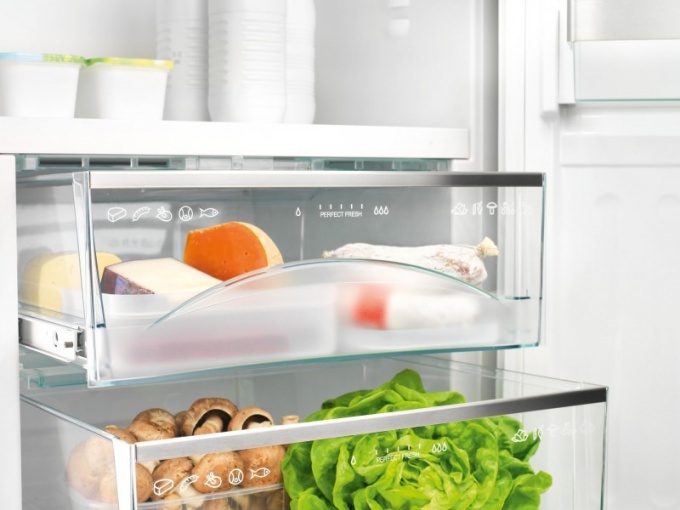 A revision of the entire refrigerator may those products that have been stored there without packing, have become a favorable environment for harmful bacteria. To get rid of unpleasant odor, turn off the fridge, and then wash the wall with soapy water. Or use club soda. For its preparation take 1-2 tablespoons of baking soda and 1.5 l of warm water. It absorbs the smells of lemon. Dissolve in room temperature water with lemon juice in ratio of 1:1. Take a soft sponge and wash the inside of the refrigerator with this solution. To consolidate the effect, leave the saucer with lemon slices for a few days. Instead, you can use the sliced orange. To not only get rid of the smell of rancid meat, but also from harmful bacteria will help the ammonia. Dissolve a few drops in 1 liter of water and wash the refrigerator inside. Then do not fill it with products during the day. During this time keep the door open. If the meat is spoiled during the defrost on the air, it is necessary to wash the kitchen using one of the above methods, observing a ratio of components. Get rid of the smell and disinfect the room to help also special detergents that you can purchase in any Department of household chemicals. For floor washing, choose chlorine-containing media. But do not overdo it with their number, as chlorine can cause toxic poisoning. For the preparation of disinfecting solutions, use the instructions on the package. Then ventilate the room. Preferably, during airing to go out. To avoid irritation on the skin when cleaning the refrigerator and kitchen use rubber gloves.